Palestine, President Abbas and Challenges in Ending Oslo! President Abbas indicated that the Palestinian Authority “will start the implementation of this declaration by all peaceful and legal means. 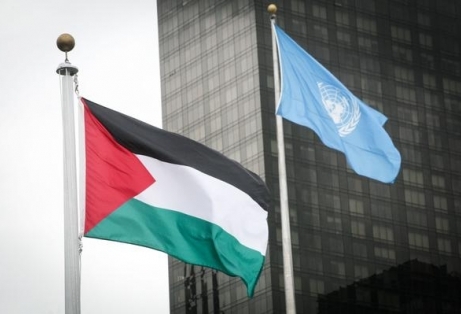 Either the Palestinian National Authority will be the conduit of the Palestinian people from occupation to independence, or Israel, the occupying power, must bear all of its responsibilities.” The statements at the UN General Assembly were significant including the specific call for the mobilization of “international efforts to oversee an end to the occupation in line with the resolutions of international legitimacy.” Furthermore, President Abbas asked for the “United Nations to provide international protection for the Palestinian people in accordance with international humanitarian law,” which, if ever acted upon, would create new realities on the ground. At its core, Oslo was a security agreement, not for Palestinians mind you, but for Israel and its settlers at the expense of the occupied population. In Oslo, Israel did not intend to end the occupation but wanted to find ways to reset its occupation and shift security responsibilities to Palestinians because of the difficulties that arose after the 1987 Intifada. Oslo moved Palestinians into classical colonial structure with indigenous hands implementing the security structures for the colonial power, thus, the birth of the PA.
Oslo was an Israeli colonial security structure implemented by Palestinians, means while permitting the occupying power to undertake unrestrained expansion of settlement activities without it being effectively subject to international law or UN resolutions. Oslo framework was based on an Israeli colonial imaginary of half-pregnancy whereby Palestinians would be free but occupied, have authority minus power and jurisdiction over landmass without sovereignty. Oslo mandated for the occupied Palestinians to protect their occupier and at the same time fundraise from international donors to pay the occupiers the costs associated with being occupied. What took President Abbas and the Palestinian Authority so long to realize that half-pregnancy will not produce freedom, dignity and an end to the occupation! More to the point, assuming that President Abbas and the PA are serious about not being bound by Oslo, then the discussion should shift to analyze the current state of affairs that will impact the outcome of any future moves. The situation in the Occupied Territories has reached a dangerous boiling point with daily attacks on Muslim and Christian religious sites, as well as, an open season of settler and military violence directed at the Palestinians and the criminal and sadistic siege set against the 1.5 million “living” in Gaza. Yet, the regional and global governmental responses remain for the most part subdued. The lack of a sustained and forceful response is a result of rapid changes in the region and internationally over the past few years, which deserves to be explored and just as important is current internal Palestinian leadership crisis. Indeed, the attacks on Al-Aqsa’s compound by Israeli officials and the free reign granted to thuggish settlers that continue to harass, intimidate and physically threaten worshippers in the area is made possible by a number of factors which will not change due to President Abbas’ speech at the UN. First and foremost of the factors, is the ongoing chaos in the Arab and Muslim worlds that have left a total vacuum in support for the Palestinians at institutional and governmental levels. This also affected every Arab and Muslim person in the street and their ability to express meaningful solidarity with the Palestinians since their circumstances have become, in some countries, worse than what Palestinians face at present. I already hear this and sympathize with the situation of Syrians, who at present, face circumstances that are worse than the immediate day to day suffering of the Palestinians. How to be able to speak of Palestine’s occupation while the daily death-count in the region is in the hundreds? One is numbed into silence and despair due to the current calamities that has no end in sight with Palestine and the Palestinians being a distant memory! Moreover, the current regional conflicts and the resulting alliances to pursue them on battlefields or in diplomatic circles have caused a group of countries to shift their position and have incorporated themselves into Israel’s strategic column and away from supporting the Palestinians. This shift in alliances began much earlier than the Arab Spring and can be dated to the early period of the 1980s, but was consolidated after the collapse of the Soviet Union and Iraq’s invasion of Kuwait. President Abbas’ statement at the UN will face the reality of an Arab world that speaks Israel’s language and sees eye to eye with Netanyahu on the regional strategic questions. Adding insult to injury is the basic fact that the Palestinian Authority depends on funding from the same countries that are setting in Netanyahu’s strategic lap. It will be difficult to undo the dependency on the financial drug that has become the addiction for the Palestinian leadership and a similar dose is provided by both the US and EU. The Arab world is in a free fall into oblivion and Israel has gleefully unfolded its security blanket to offer comfort and facilitation to states desiring status quo stability at all costs. Egypt, Jordan and some Gulf States have opted to consummate a strategic marriage with Israel to counter, on the one hand, the democratic wave that was unleashed in 2011 Arab Spring, and on the other, a more intense campaign to contain Iran in the region. Clearly, the Arab world priorities have shifted away from Palestine and more attention is directed at containing Iran through the ongoing proxy wars in Syria, Yemen and Iraq, as well as, fragmenting and rolling back parties identified with political Islam. In the current plans of Arab governments, Palestine has been transfigured into a liability to be jettisoned in order to facilitate the new strategic alliance with Israel, so as to confront the internal democratic threat and the regionally fomented one. As such, and for many of these governments, the Arab-Arab and Shia-Sunni conflicts are far too “important” to ignore while Palestine has to wait until the regional accounts are settled; this may be another 10-100 years! If Israel has its way, it will be closer to the hundred years mark if not more. Consequently, Israel and its Arab allies to push for a preservation of the status quo and opting for stability at all costs, instrumentalize the legitimate focus on the carnage in Syria and Iraq. Despotic and authoritarian regimes in the Arab world offer protection for their populations who are allowed to exist on the basis of a metaphorical death row cycle and constant fear, while the chaos in Syria and Iraq are offered as the scary alternative to dissuade demands for justice, freedom and dignity across the region. Gone are the days of the Arab Spring where the Palestinian flag was prominently represented. People did march and revolt in opposition to the local despot, but the suffering of Palestinians was central to the movements and Israel’s close relations to existing regimes were exposed in more than one country. President Abbas’ speech at the UN will face the deafening wall of the new or emboldened Arab despots who are not ready to jeopardize their new strategic partnership with Israel for a possible Palestinian state or freedoms in their own respective countries. A second factor that will make the response to President Abbas’ speech muted just as the response to attacks on Al-Aqsa mosque, Christian churches and burning of Palestinian family have been muffled and weakened, has to do with the divisions among the Palestinians living under occupation. Before addressing this factor, it is important to situate the existing divisions within normative colonial discourses and not an exceptional condition or uniquely Palestinian. A primary feature of colonialism and the basis of success of colonial projects are centered on fragmenting indigenous communities and utilizing a divide and conquer tactic to achieve the needed results. The fact that the Palestinians are facing the brunt of this strategy should not cause a shift in our thinking to the extent that the colonized are condemned for the conditioning applied toward them by the colonizer. 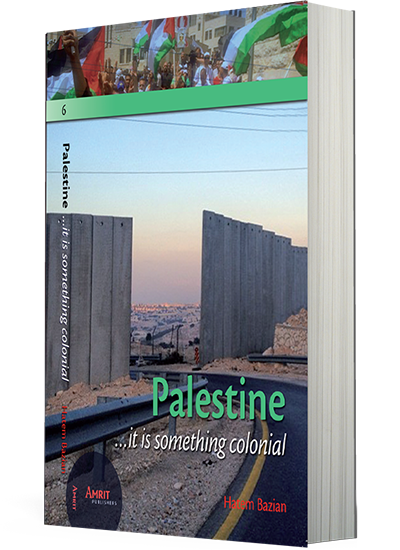 Israel has all along emphasized, in a rather highly racist manner, the inferiority of the Palestinians while constantly blaming the colonized for the conditions it had systematically and structurally imposed upon them through the colonization project itself. 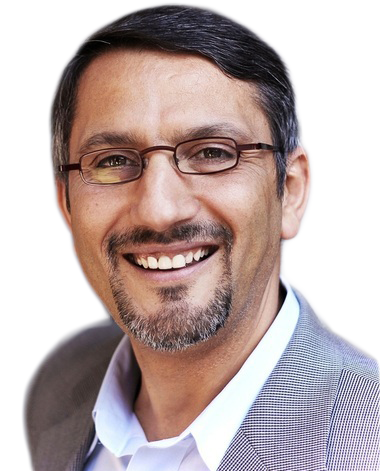 Increasingly, the same Israeli framed colonial language has found its way into the adopted public discourses and pronouncements of few Arabs and Muslims in the US, who took part in the Shalom Hartman Institute’s Muslim Leadership Initiative. The fragmentation predicament that is ravaging the unity of the Palestinians is almost identical to what was present in South Africa during the Apartheid Era. Indeed, the current divisions in Palestinian body politic have further facilitated the downgrading of Palestine’s status on the Arab world’s agenda and by extension, the Muslim world. The Palestinian Authority in the West Bank and President Abbas in particular, played along with the new regional alignment, hoping, in the process, to utilize it, so as to gain the upper hand against their internal Palestinian rival– Hamas in Gaza. Israel’s massive attacks on Gaza were deemed beneficial by PA leadership and with it the hope that a collapse in the Strip would make it possible to reclaim the areas under the existing PA order. The divided Palestinian political house had made it impossible to mount a serious challenge to the ongoing occupation, settlement expansion and burning of people and crops in Palestine. Also, the division has made it impossible to mobilize the Palestinians in the diaspora on a unified agenda and plan of action. Oslo provided a Palestinian knife to cut open the unity and cohesion of Palestinian society, as well as, creating a thin ruling elite connected to Israeli interests and security at the expense of national unity and program to end the occupation. How can Palestinians challenge the occupation when one section of the community is mobilized against the other, while fully coordinating its security plans with the occupying forces! Moreover, both segments are pitted constantly against one another in a game of survival with the winner being simultaneously a loser, since success is measured by the ability to annihilate the other. which boils down to destroying the community and cause its disintegration for the Israeli referee to declare the winner in the contest. Strength in unity is absent in today’s Palestine and the consequence is the intensification of aggression by settlers and the Israeli government. For Oslo to be rendered obsolete, it will take more than a forceful speech at the UN General Assembly and an immediate end to security coordination, to protect settlers is the no-brainer first step. So what if Israel gets angry on the PA and the Palestinians! What will change for the Palestinians if coordination with Israeli security comes to a stop or are the VIP privileges and economic opportunity for the few too valuable to sacrifice for Palestine? When will it be when we start the conversation by focusing on the security, freedom and dignity of the occupied, rather than protection, funding and facilitation for the Israeli occupier? The third factor that will frustrate President Abbas’ efforts on Oslo, has to do with the swing to the extreme right in the United States Congress and the poisoning of public discourses with racism and Islamophobia which is habitually centered on promoting exclusively a negative image of Palestinians. Often, the images utilized in public ads by right wing Islamophobes are those of Palestinians, this then makes it possible to continue efforts directed at further consolidating support for Israel in the US by demonizing its Palestinian victims. The rising tide of the rightwing in America translates occupied Palestine into an intensification of violence campaign by settlers who are protected by the Israeli government. Settlers direct their unfettered violence against Al-Aqsa mosque, churches, Palestinian civilians and agricultural land and properties. Republican attacks on Obama’s foreign policy is music to Israel’s rightwing ears and in reality, they are partners in the campaign to weaken the White House on the Middle East front because it is not in Netanyahu or Zionism’s interest. Just like Palestinians under occupation face settlers “price tag” attacks, Obama and the White House faced racism “price tag” on the policy choices, so as to neutralize any possible shifts in US approach to Israel, and intensely so, after the Cairo speech in 2009. Israel early on in the presidential campaign, determined that Obama might be an obstacle to its strategic plans for the region and Netanyahu and AIPAC got wedded again politically and financially into America’s rightwing, which required the deployment of racism and Islamophobia to undermine Obama’s standing in the country. Obama is a Muslim, the birth certificate debates and supposed membership in the Brotherhood Movement were all intended to create a cloud of doubt that then is utilized to attack the veracity of Obama’s policy options with particular focus on those that affect Israel. The point to be made is, it is not that if Obama was left to his own devices would have accomplished or been able to challenge Netanyahu’s rejectionist policies toward the peace process, ending settlement activities or god forbid bring the occupation to an end. However, the strategy to weaken Obama on Palestine and the Middle East fronts was not accidental, and surely considerable resources lined up behind it to bring it to fruition. Some might point that President Obama was able to win the Iran deal despite Israel’s opposition, which is fair, but if taken correctly Netanyahu and AIPAC had mustered far more votes than the President of the country; an insult to the office and the institution of the Presidency itself. A foreign Prime Minister has 59 Senators on his side while the president managed 41 to rescue the Iran deal. The debate in Congress was whether the signed deal is good or bad for Israel. The question should have been whether it is good for peace and for the American people, first and foremost. Certainly, America’s rightwing was so patriotic and awestruck with nationalist fervor that it was more than ready to surrender the government to the interests of a foreign power, in the hope that they will be able to frustrate the agenda of a president, who was elected to office by an anti-war coalition. It is doubtful whether Obama after winning the election was ready to be an anti-war president and the record demonstrates that he rode the opposition to the Iraq war wave into the White House but moved swiftly to the center afterward. Another relevant point not related to Israel but ended up pushing the agenda to weaken the presidency, had to do with Obama’s healthcare initiative, which barely passed the Congress. The passage of the healthcare bill created the needed opening for America’s rightwing and major corporate interests that were focused on preventing financial and environmental reforms and managed to rally opposition so as to entangle every part of Obama’s agenda from that point forward. The fusing of the domestic and foreign policy agendas took center stage with Tea Party Republicans coming out strongly against the healthcare law and rejection of Obama’s demands on Israel to freeze the building of settlements. In this manner, America’s rightwing managed to disrupt the government’s financial reform efforts domestically while siding with Netanyahu on settlements, occupation and Iran. The three factors listed above collectively have militated against any type of pressure or demand to be placed upon Israel and it’s duplicitous Prime Minister. As a result of the current state of affairs in the Middle East, the fragmentation of the region, multiple wars at different fronts and new alliances being formed, Israel became more intertwined with every aspect of the strategic landscape. Israel is a valuable ally for many Arab regimes and their relations with the US are increasingly funneled through AIPAC’s political machinery to the determent of the Palestinians. In the speech to the UN General Assembly, President Abbas declared his intention to suspend Palestinian commitments to the Oslo Accords, which is significant, but, the major obstacle that first must be overcome for the step to have any effect, is to bring Palestinian divisions to an end. The regional picture and Washington’s stance on what should be the next steps for Palestine will not change until Palestinians actualize unity in words and deeds immediately. Lastly, President Abbas’ speech will not effect change in the day to day relations with the Israeli government since the PA lacks the independence of thought and action on all economic and security matters, which means, the speech is more intended to shore up sagging public trust in the existing leadership. A speech at the UN General Assembly will not make for a state, produce an end to the occupation, or bring about freedom and dignity to the Palestinians. Oslo belongs to the field of colonial history and today’s narrative is to be written anew by Palestinians who refuse to be a mere footnote to someone else’s story. Palestine is free in our minds and needs a leadership that believes and works for its actualization.